My daughter worked at this daycare for 15 years. 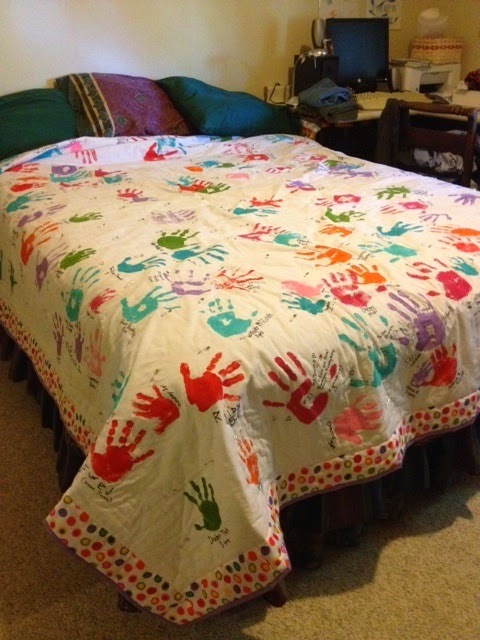 When she moved out of state, she asked all her current and previous "kids" to come and paint their handprints. They also put their names and ages on it. I quilted around each one. That is a wonderful creation.